Dr. Agustin Garcia graduated from the Universidad Anahuac School of Medicine and completed his residency program at the University of Illinois College of Medicine. 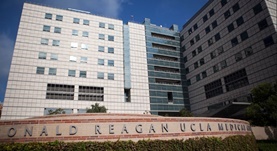 Then, he did a fellowship at the University of Southern California. He is specialized in Medical Oncology and board certified in Oncology. 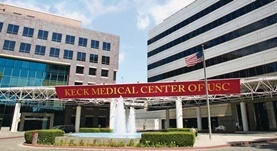 Dr. Garcia has been in practice for more 20 years and is affiliated with the USC Norris Cancer Hospital, Keck Hospital of USC, and the Ronald Reagan UCLA Medical Center. During his career, he has also contributed to several research publications. Dr. Agustin Garcia has contributed to 3 publications. Accuracy of Contrast-Enhanced Ultrasound Compared With Magnetic Resonance Imaging in Assessing the Tumor Response After Neoadjuvant Chemotherapy for Breast Cancer. 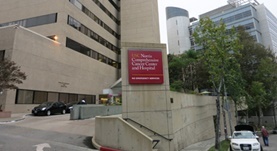 Lee, S. C.,Grant, E.,Sheth, P.,Garcia, A. A.,Desai, B.,Ji, L.,Groshen, S.,Hwang, D.,Yamashita, M.,Hovanessian-Larsen, L.; J Ultrasound Med. 1900 Jan 01. Phase I clinical trial of temsirolimus and vinorelbine in advanced solid tumors. Piatek, C. I.,Raja, G. L.,Ji, L.,Gitlitz, B. J.,Dorff, T. B.,Quinn, D. I.,Hu, J.,El-Khoueiry, A. B.,Pham, H. Q.,Roman, L.,Garcia, A. A.; Cancer Chemother. Pharmacol.. 2014 Nov 07. Two schedules of etirinotecan pegol (NKTR-102) in patients with previously treated metastatic breast cancer: a randomised phase 2 study. Awada, A.,Garcia, A. A.,Chan, S.,Jerusalem, G. H.,Coleman, R. E.,Huizing, M. T.,Mehdi, A.,O'Reilly, S. M.,Hamm, J. T.,Barrett-Lee, P. J.,Cocquyt, V.,Sideras, K.,Young,...; Lancet Oncol.. 2013 Oct 08.